Dry single-step digital printing becomes reality for home textiles. 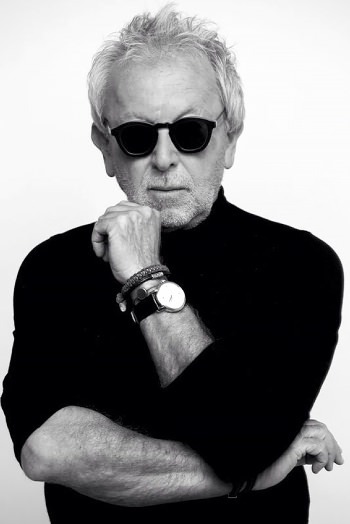 Gideon Oberson’s creativity is complemented by the amazing colour gamut and versatility of the Kornit Allegro It’s been announced that Kornit Digital and renowned designer Gideon Oberson will showcase the partnership opportunities between creativity and digital textile printing at Heimtextil 2015, Stand no: 4.0 E 25. 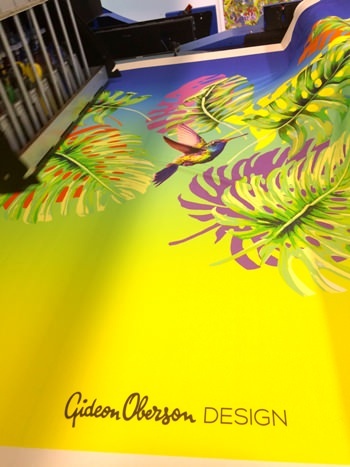 The collaboration will see both parties present a colourful tropical environment produced on the high speed roll-to-roll Kornit Allegro onto a variety of fabrics in limitless lengths. Kornit Digital develops, manufactures and markets industrial and commercial printing solutions for the garment, apparel and textile industries. Gideon Oberson’s contemporary and highly visual sophisticated work represents a strong example of the move by designers to incorporate greener, cost-effective practices within the development of their fabric designs in a streamlined process. Kornit Digital said his enthusiasm and design skills have combined to bring it the ultimate in creativity at Heimtextil 2015 by integrating his own strong experiences of vision, perception and colour. Gideon Oberson’s creativity is complemented by the amazing colour gamut and versatility of the Kornit Allegro Kornit Digital’s NeoPigmentTM process, employed by the company in all of its digital textile printing solutions, boasts digital advantages that not only generate high standards, authentic feel and superior quality, but also enables the versatility demanded today in terms of shorter runs and personalisation. The Kornit Allegro is billed as the only true digital solution for textile printing. Kornit Digital added that its unique one-step process combined with the wider colour gamut of its NeoPigment inks represent a real opportunity for textile designers and enables them to control their prints and colours while offering their customers short runs and customisation. Unlike alternative digital production technologies the need for all external process steps, such as pre-treatment and post treatment, have been removed. With textile production now available in a completely dry single step solution, digital fabric printing is returning to western countries as all former issues, such as end-to-end costs, pollution, regulations, health and safety, and space can be addressed. Heimtextil, which takes place in Frankfurt, Germany, from 14 to 17 January 2015, is the world’s leading exhibition for textile and garment manufacturing. The upsurge of interest in digital textile printing across the fabric arena, and marked upward trend for the versatility of ink-jet printing, has confirmed Kornit Digital’s attendance at the forthcoming event. For more information, visit Kornit Digital at www.kornit.com.